Casino Classic is one of the Casino Rewards group’s flagship online casinos. It promises to offer players a first-class casino experience without having to leave home. Established in 2000, the casino has risen in the popularity ranks and continues to bring you new games every month while also offering all the most loved classics. Casino Classic online casino is powered by Microgaming, so just know from the start that the menu of games is going to be outstanding, not to mention the quality and gameplay. There are crystal-clear audio, superior animations and state-of-the-art graphics to look forward to. Above all that, the casino is certified as completely safe and secure thanks to its eCOGRA seal of approval. Of course, it’s all about getting started, and Casino Classic offers a fairly decent welcome bonus to try out on any of the 550 games, including the latest slots, video poker and table games. All you have to do is download the casino software and create your real money account to take advantage of up to €500 in bonus cash. At Casino Classic, there seem to be thrills around every corner, complete with regular promotions, VIP jackpots and enthralling sweepstakes. So, let’s dive right in and see what this casino can offer players. Let’s start with what Casino Classic can offer new players. As soon as you sign up and open a real money account, you can avail of the €500 welcome offer, spread out over your first 5 deposits. Simply deposit the minimum €20 and your deposit will be doubled with a bonus of up to €100. Your second and fourth deposits are then matched at 50% with up to €100 each, whilst your third deposit earns you a 25% match bonus of up to €100. This may not be the biggest welcome offer around, but it’s perfect to get you started, and the wagering requirements are more reasonable than some other online casinos. You need to play through your first deposit 30x before you can withdraw any winnings. The playthrough for the other four deposits is set at 60x, which is pretty average these days. If you want to try and clear your playthrough quickly, play the games with higher contributions towards meeting the wagering requirements. On the whole, slots contribute 100% while roulette only contributes 2%. Still not keen on the offer? That’s okay, Casino Classic gives players so many ways to get going. If you want to skip the Welcome Bonus, you can have a spin on the Second Change Wheel. Simply spin the wheel and your very first deposit at the casino will earn you a bonus to the amount the wheel spun. So, that’s all when you sign up, but Casino Classic also takes good care of loyal players through its VIP Loyalty programme, which is part of the Casino Rewards Group. You get to collect points each time you wager and once you’ve collected 1,000 points, you can exchange them for cash. Since Casino Classic online casino accepts players from around the globe, it supports an excellent variety of efficient, convenient and reliable methods of payment. That means you are bound to find the right banking option for your gambling needs. All your financial transactions are processed with state-of-the-art SSL encryption software to ensure your details and your bankroll are kept safe and secure. Your deposits are processed in mere seconds, so you can start playing your favourite slots and table games right away. The minimum deposit amount at Casino Classic is just €20. When it comes to withdrawals, you can use all the same methods you used to deposit your funds, except Paysafecard. 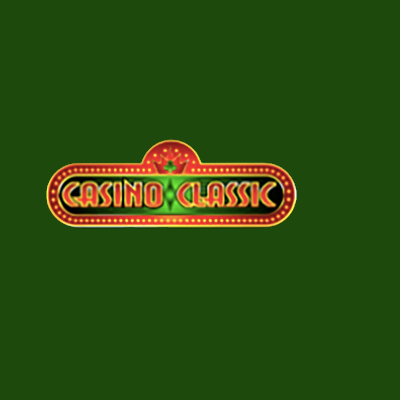 All withdrawals at Casino Classic are held in pending for around 2 working days. Once approved, the money is transferred to your preferred banking method. The minimum amount you can withdraw per transaction is €50 for all banking methods except e-cheques where your minimum withdrawal must be €300. The maximum withdrawal amount per week is €4,000. Contrary to deposits, withdrawals do incur fees. The only withdrawals free of fees are those done via e-wallets and cards. Since Casino Classic is powered by Microgaming, it runs on the reputable and highly-acclaimed Viper software, which is one of the top platforms around. At this online casino, you’ll find more than 550 of the latest video slots and table games like blackjack, roulette, and pretty much every poker variant you could dream of. In fact, there are more than 50 video poker games on offer, including level-up, multi-hand and, in general, some of the best poker you’ll find online. As Microgaming is apt to do, there are new releases pretty much every month. But you’ll still find all the classics like Jurassic Park, Game of Thrones, Jurassic World, Hellboy, Tombraider, and Phantom of the Opera. There’s also an excellent selection of the best progressive jackpots around, including none other than the life-changing Mega Moolah. Many players flock to online casinos that offer quality blackjack gaming, and Casino Classic is one of them. You’ll find almost every version of online blackjack right here, including Vegas Downtown, Multihand Atlantic City Blackjack, Vegas Strip, European, Spanish and Multihand Double Exposure Blackjack to name a few. If you’re more of a roulette fan, you’re in luck. Casino Classic offers a myriad of variants, amongst which you’ll find French, American, European and Premier Roulette. Best of all, nearly all of the video poker games appear in level-up video poker, 4 play power poker, as well as 10, 50 and 100 play power poker. And, if that’s not enough choice for you, there’s also Progressive Video Poker. Casino Classic offers an awesome selection of games, no doubt. You just cannot get bored at this casino with so much to do and so many ways to win. It saddens us to take a point off Casino Classic’s review, but we have to. There’re just no live dealer games available. But, with so many other amazing games on offer, there are plenty of opportunities to experience an amazing casino vibe. You just don’t have the option of real-time play with a real live dealer. There’s nothing as thrilling as carrying your favourite casino around in your pocket, and you can do just that with Casino Classic’s mobile site. It functions flawlessly and automatically opens when you open the site’s URL in your tablet or smartphone browser. It also works across all devices that use HTML5, including Windows, Android and iOS. The site’s mobile version has a live chat feature and you can play your favourite titles and tables whenever the urge takes you, no matter where you are – you’re only limited by an internet connection. Casino Classic online casino takes safety seriously. There are parental controls in effect to ensure underage players cannot access the casino. All your funds are held in a separate account and are safely protects against any instance of insolvency. Thanks to top-of-the-range encryption technology, all your details and financial information are kept safe and secure at all times. With the eCOGRA seal of approval, you are assured random and fair play, too. Independent auditors are brought on board to review games and check randomness on a regular basis. You can also easily check your transaction history and your win history to evaluate your success over a longer period. Casino Classic, being part of the Casino Rewards Group, is licensed and regulated by the highly-regarded UK Gambling Commission. The commission ensures the casino adhered to all legitimacy and fairness policies at all times. Put this all together and it makes for an assured exceptional gaming experience and fair chances at winning some life-changing jackpots. Every now and then you might have a query or need a little help. Casino Classic’s customer support is on hand via live chat or email to help you out. At the time of our review, there was no telephone hotline, but with live chat and email, you’re covered well enough when you need assistance. Casino Classic is certainly at the forefront of the online gambling world. It’s a professional online casino that offers a healthy €500 welcome bonus, or no deposit bonus or the chance to spin the wheel and boost your bankroll right out the gate. There’s a valuable loyalty programme, too, so you’re always well looked after at this casino. When it comes to layout, platform and a massive array of games, this casino performs admirably. Customer support is on hand when you need it, and security is top of the line to ensure your details and cash are always safe. The games are fair and random and there’s just no chance of getting bored when you play at Casino Classic online casino. While the video poker selection is one of the best we’ve seen, we do wish there were a couple of live dealer games to enjoy. That being said, this is a well-rounded and reputable online casino that you’ve just got to try for yourself!